In Glendale, getting a dental cleaning is often the last thing on a person's mind. Given that many people are terrified of the dentist office to begin with there are a lot of people who do not get their cleaning done frequently enough. When you combine this with the number of people that are just too busy to visit the dentist office on a regular basis, only around a third of people get their teeth cleaned twice per year as is recommended. Unfortunately, when you do not visit the dentist on a regular basis to get your teeth professionally cleaned you risk other diseases and do not give us the opportunity to catch any potential problems early. 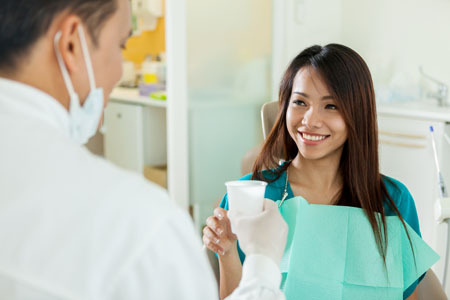 Dental cleanings have been a staple for dentists since very early in the history of dentistry. The reason, that cleanings are so important, is, as mentioned earlier, gum diseases can be caught earlier if you are visiting the dentist regularly for cleanings. At the same time, plaque buildup can also lead to additional complications with your teeth and gums. Regularly scheduled cleanings help keep plaque buildup under control, which in turn keeps your mouth healthy and reduces the chance of a gum diseases or cavities. Today there are also new and improved methods of getting a dental cleaning, including an ultrasonic cleaning. Dental cleanings using ultrasonic methods are not the newest of inventions, though it has only recently gotten a great deal of traction in the dental field. Originally ultrasonic cleaning methods were used in cleaning aircraft parts in the 1950's. As the technology evolved, it got smaller and now is the perfect way to get teeth cleaned without having to use the hard metal tools needed in the old methods. 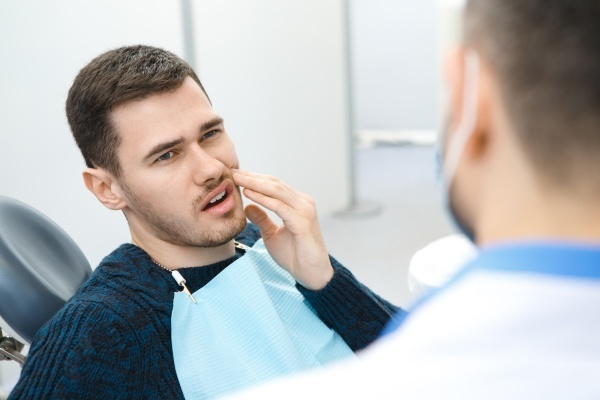 Occasionally, when using the traditional methods of dental cleaning, the tools could chip or scratch the surface of the enamel which in turn caused harm to the tooth. Ultrasonic cleaning has done away with such risks and has also made visiting the dentist not quite as daunting those who fear the dentist's tools. The way a dental cleaning with an ultrasonic tool works is that the tool vibrates at a very high frequency. This causes the plaque to fall off the tooth where water, shot at the tooth from the tip of the device washes away. This method of cleaning not only gets rid of the plaque but has the added advantage of removing the tartar and the hardened tartar, known as calculus. Traditional dental cleanings can also remove tartar, but it is harder to remove calculus with the tools. There is no pain associated with an ultrasonic cleaning. Since the tool puts no pressure on the tooth itself and there is no sharp object to dig into the gums or scrape the enamel, there is literally no risk of scratching. For patients who suffer from gum disease, the lack of pressure placed on the teeth by the ultrasonic cleaner is a good advance because it does not loosen the teeth further.